Human activities can have a big impact on the world's biodiversity, including the creatures in our backyard. 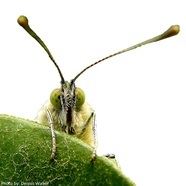 The Pieris Project is a citizen science initiative designed to study how organisms respond to changes in their environment, using the cabbage white butterfly (Pieris rapae). Originally believed to have come from Europe, this butterfly has invaded many parts of the world and is now one of the most successful and abundant butterflies on the planet! Chances are you've seen them in your garden or fluttering by you while riding through town. Because this butterfly has likely adapted to the many new and different environments in now inhabits, we can use it to study how organisms respond to changes in their environment. This information will help us predict how other species might respond to similar changes, something we still don't know for most species. That's why we need your help! Find out more about the specific questions we will answer here. is the star of our project. A glutton for cruciferous vegetables, Pieris is no stranger to a well kept garden. Well, really any urban environment for that matter. In addition to fluttering and locally brewed floral nectar, Pieris enjoys long flights down dirt roads. received his Ph.D. at the University of Notre Dame studying the impacts of climate change on butterfly populations in the Hellmann lab. Currently he is a postdoc with the USDA working with Dr. DeWayne Shoemaker studying the genomics of fire ants. Sean is very excited by all things citizen science. In his free time he enjoys biking, ﻿photography ﻿and being a citizen scientist himself. Your contributions are why this project is a success. Get started now by signing up! is an assistant professor at Butler University in Indianapolis, Indiana. 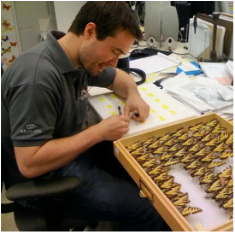 He studies the phenotypic plasticity of the wing pattern elements in the cabbage white butterfly. 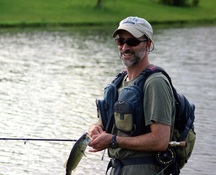 In his free time, he enjoys photography, hiking, bird watching, fly fishing and spending time with his wife and kids. is CSIC Scientist at the Institute of Evolutionary Biology (CSIC-UPF) in Barcelona, Spain, where he leads the Butterfly Diversity and Evolution Lab. He is interested in understanding how the amazing butterfly biodiversity has been generated. He has been a passionate lepidopterist since childhood, and in his "other free time" he enjoys spending it with his family, traveling, hiking... and sometimes doing nothing! is a Marie Curie postdoctoral fellow at the Butterfly Diversity and Evolution Lab, part of the Institute of Evolutionary Biology (CSIC-UPF) in Barcelona, Spain. 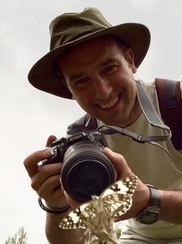 His research focuses on Lepidoptera (mainly western Palaearctic butterflies) to better understand large-scale patterns of biodiversity, as well as the formation of cryptic species. He has been passionate about butterflies and moths since childhood, and loves exploring new places in search for his favourite insects, as well as photography. is a Marie Curie Fellow at the University of Cambridge, UK and a visiting scholar at Penn State University. She is an evolutionary biologist interested in the causes and consequences of natural variation. In particular she studies interactions between insects and their bacterial symbionts, and functional genomics of several species of butterflies. 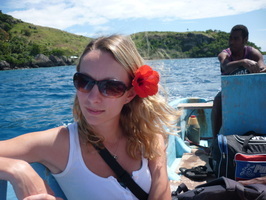 When not at work she enjoys gardening, hiking and traveling to tropical islands. is a Marie Curie postodoctroal fellow at the Museum of Comparative Zoology (MCZ), Harvard University, and the Institute of Evolutionary Biology (CSIC-UPF) in Barcelona, Spain. 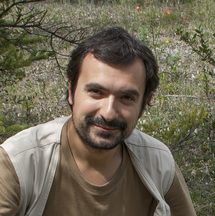 He is an evolutionary biologist interested on the biodiversity of the insects, and his current research focuses on the evolution of migratory strategies in butterflies and its link with biogeography. He spends his free time climbing mountains, a passion for exploration shared with the study of biodiversity. is a PhD candidate in Paul Ode's lab at Colorado State University. Dhaval studies how species coexist or compete with one another when they use the same resources. His current research is on parasitoid wasps that attack the same host. His overall interests are in how animals behave in nature and the reason for their behaviors. During breaks from research, Dhaval can be found birding, playing sports or photographing wildlife. is a Biology Ph.D. student in Joel Kingsolver’s lab at the University of North Carolina-Chapel Hill. She is broadly interested in evolutionary ecology and plant-insect interactions. Currently, she is working on a project studying how temperature and host plant nutrition affect the physiology and life history of cabbage white caterpillars. Outside of the lab, Kate enjoys painting, running, traveling, and reading fantasy novels. is a Ph.D. student in Jeff Feder’s lab at the University of Notre Dame, studying genetics in organisms undergoing speciation. Outside of the lab, she enjoys traveling, sewing, and spending time outdoors. is a Ph.D. candidate at University of Notre Dame and studies mosquitoes that spread breakbone fever, or dengue virus. He loves to cook and once whooped Sean (and 20 other people) in a limbo contest, although Sean came in an admirable second place. is a Biology Ph.D. student at the University of Vermont in Brent Lockwood’s lab. She studies the physiological ecology of Pieris rapae butterflies in response to variation in their thermal environments. Currently, she is looking at how temperature anomalies and changes in seasonality affect life history traits with a focus on pupal diapause. Outside the lab, she enjoys listening to and playing folk music, traveling, cooking, and baking. is ﻿a postdoctoral scientist at the University of Notre Dame and interested in the evolution of bacterial endosymbionts in insects. In his free time he likes being out in nature, playing soccer and photography.